Lots of women know what dress they want to rock as they walk down the aisle. They see it in a magazine or have shopped before or they spot it on the TV in a show or movie. If they don't know the exact dress, then most know what style they are going for. 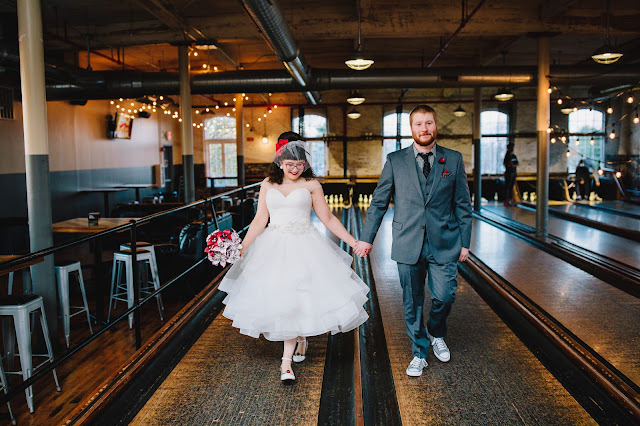 I didn't know what dress I wanted but I definitely knew what style I wanted - something tea length, retro, puffy, unique, and detailed. Oh and sleeves. I wanted sleeves! 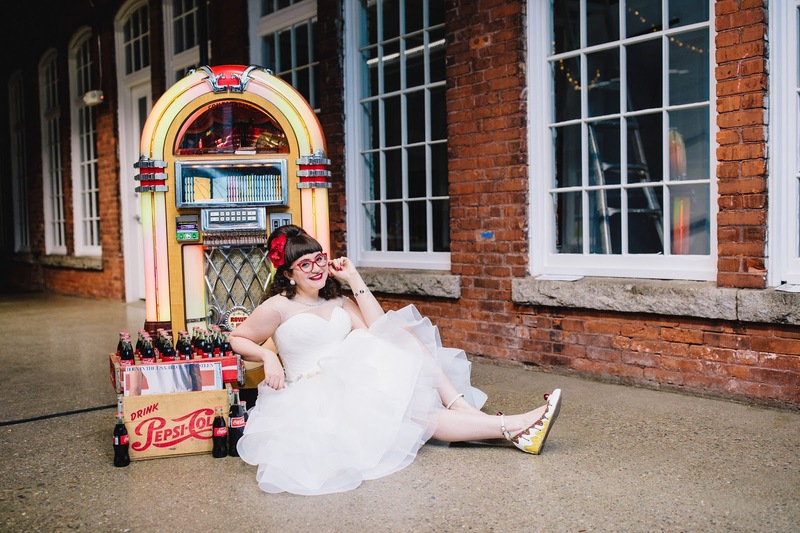 I decided to start my dress shopping at Ve'Lace Bridal in Bellingham, MA. My maid of honor, Red, got her dress there when she was shopping and the staff there were so great and everyone was so awesome to Red that I knew I had to include Ve'Lace when I started shopping. I know, I know - you want to see the wedding photos already. Well, so do I! 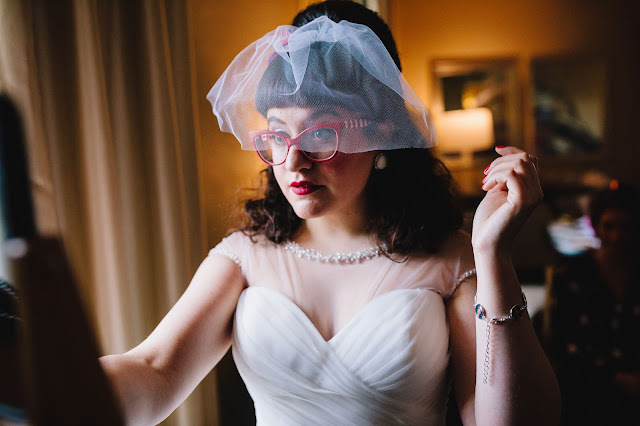 Trust me, I plan to share all the wedding details soon enough. 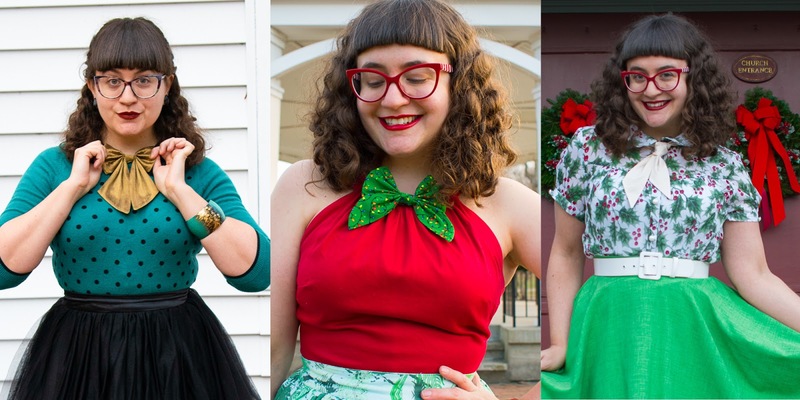 First, though, I have a fun holiday lookbook featuring Brittans Designs from Etsy. Brittans Designs creates custom ladies neckties and bows on Etsy that definitely cater to the vintage lovin' gal. With some Disney inspired bows, I Love Lucy inspired bows, and a plethora of holiday themed bows and ties, Brittan's Etsy shop has something for everyone! 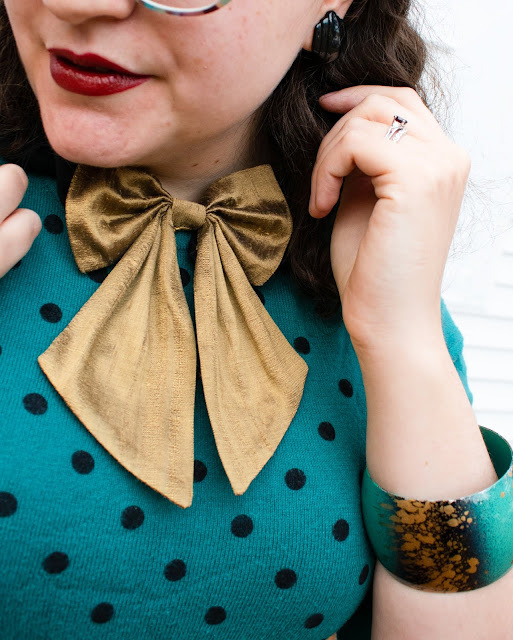 I knew I wanted to style a few for the holidays - I knew it'd be SO easy to transform an everyday outfit into something more festive just by adding a bow! Brittan kindly sent me 3 different styles to work with - a neck tie, an elegant bow with a neck fasten and closure, and a more festive bow with a brooch back. I love that these each provide a variety of wear to give you a variety of styling options! You can order just about any of Brittan's bows with the closure of your liking and I LOVE that! 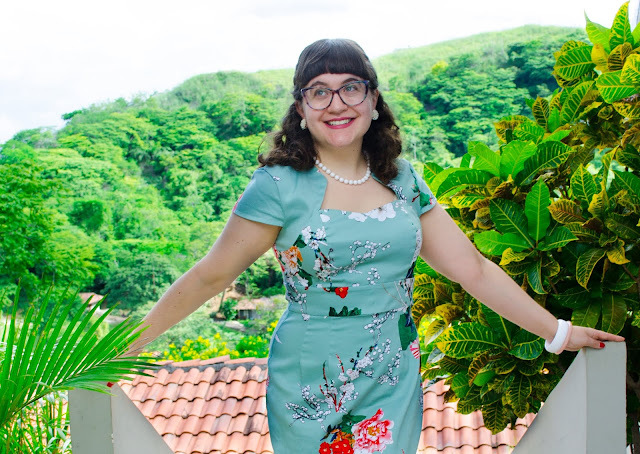 As you may recall from last week's post, I was rocking some lovely Grace Karin dresses on my honeymoon a couple weeks ago (argh, take me back to Costa Rica!). 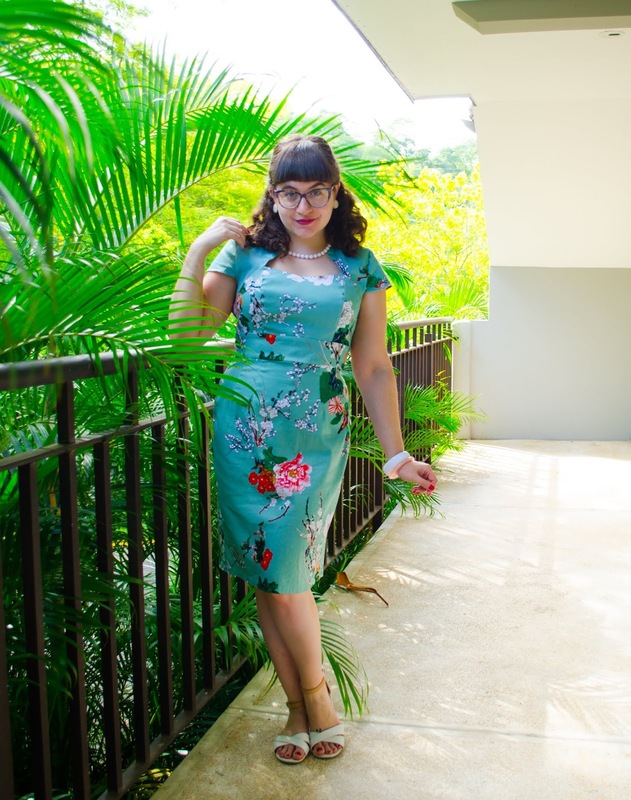 While my first post showcased a swing style dress that is totally my speed, this week I am excited to share a more fitted style that I opted for to add some variety to the trip.